One Direction won worst band with Harry Styles picking up Villain of the Year at the 2013 NME Awards last night. The band would’ve probably preferred a repeat of their 2012 Brit Awards success instead. 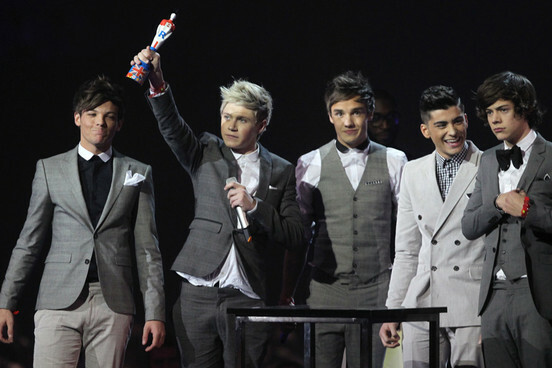 One Direction were amongst the winners last night at the 2013 NME Awards – although they probably didn’t pick up they gong’s they were quite after. The group picked up ‘Worst Band’ award which later provoked a reaction from Jake Bugg who recently started a feud with the band – read more here.